What came in the July Kawaii box? 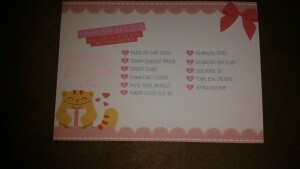 This is my second to last box, since I have a 3 month subscription. I do so enjoy the messages on the cards, this one promises that the contents of the box “are as cute as you.” Well, we’ll see now, won’t we? 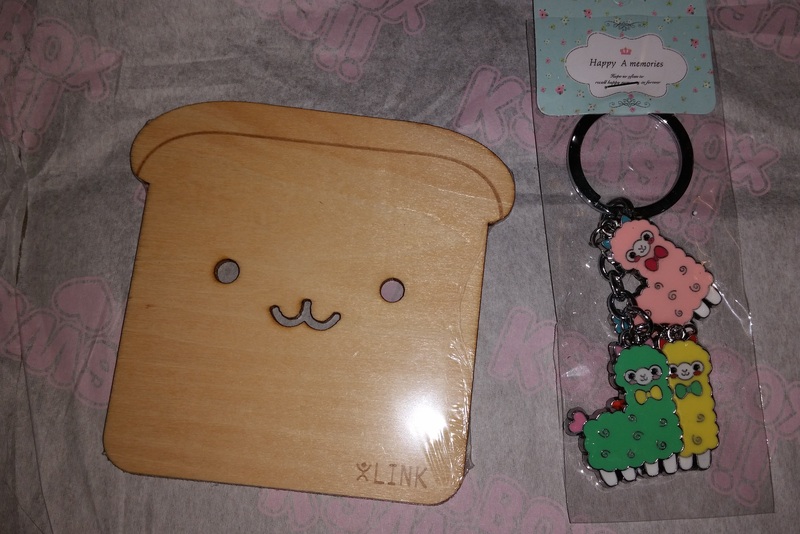 These were the items I was most excited about, a toast coaster and a keychain with cute alpacas on it that matches the bag charm from last month. 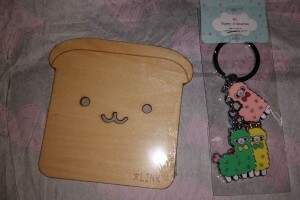 The toast coaster is one of those perfect things to get in a random subscription box, because I didn’t realize that toast coasters existed. I have also been meaning to bring in a coaster for my desk at work, so it will be practical too! Also, I just want to have the excuse to say to people, “Check out this toast coaster!” TOAST COASTER! 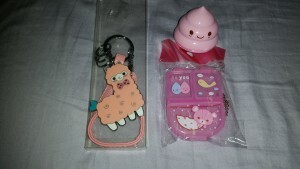 The alpaca keychain matches perfectly with the bag charm from last month, and who doesn’t sometimes need a new keychain? It is super cute. 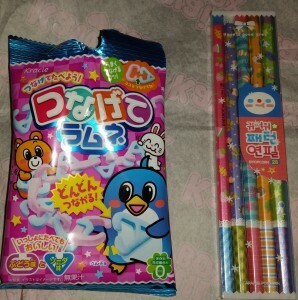 Here are a couple things I was less excited about, candy and pencils. The candy was from the same company that was included in last month’s box, and the candy consisted of slightly chalky tasting links that were a bit harder in consistency than gummy candy, yet still somewhat gummy, if that makes sense. It was not that great. 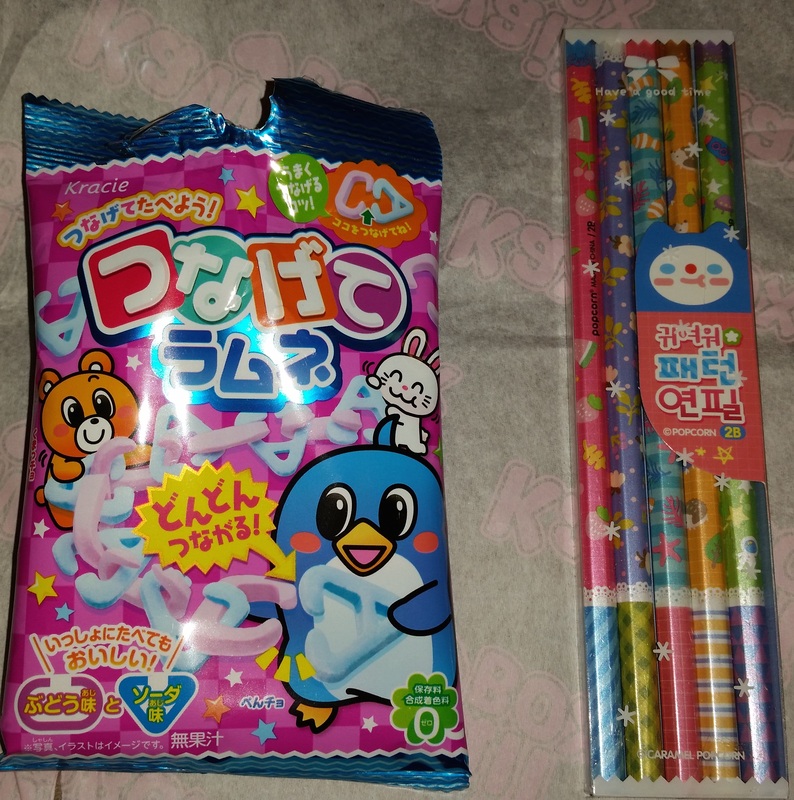 Also cute pencils. I feel like I will have enough pencils to last for quite some time now. There usually seems to be something absolutely surreal and ridiculous in these boxes, with the smiling pink poop pencil sharpener serving in that category last month, this month there is a doughnut pocket mirror. There was a pastel bracelet I will save for the next time I’m in the presence of tiny girl who likes bracelets. The sprinkles on the pocket mirror seem like they would wear off pretty easily if you actually threw it into a handbag. Also, there is a plush mushroom with a somewhat tortured expression, which I find amusing. I enjoy erasers with weird shapes, so I did like the cupcake eraser. I can really take or leave glitter glue, but this looks like a good set, if I did want to glue glitter to anything. 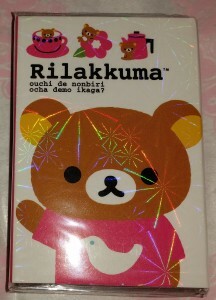 I really enjoy the sticker set, which features cute pandas with bizarre facial expressions. I was also happy to see this Rilakkuma post-it set, it is a little book of post-its that unfolds accordion style with a bunch of different shaped post-its. Super handy! 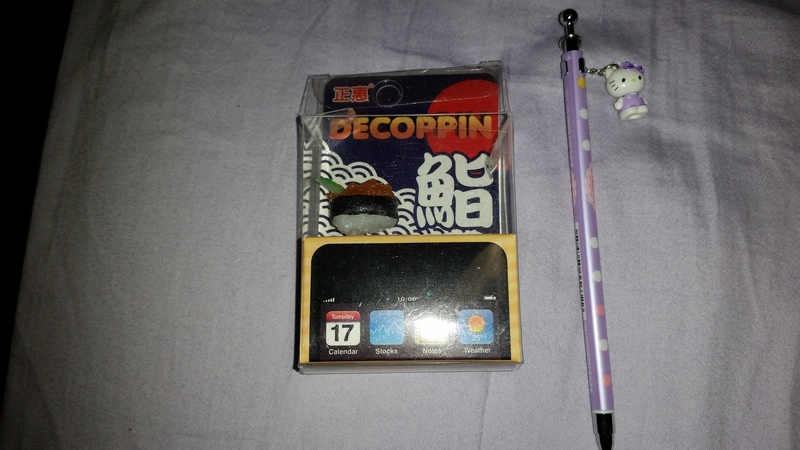 Overall, I still think that a yearly subscription would result in someone getting too much plastic stuff, but a three month subscription or just buying a random box now and then is a nice treat, especially if you live hundreds of miles away from a good Japanese import shop. 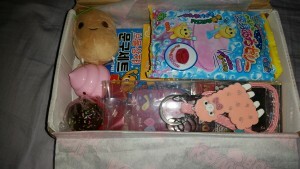 This entry was posted in General and tagged kawaii box on 8/23/2015 by Anna. I’ve been curious about subscription boxes, but I hadn’t found one that I thought I’d enjoy. I can’t subscribe to the boxes where one gets sent a random assortment of makeup and beauty products, because I tend to be overly sensitive to fragrance, and I figured those boxes are likely to have perfume samples and lotions that I would never be able to use. While I like the idea of yarn clubs, I have a crazy amount of yarn, and am also picky about the color of yarn I like to buy, so that also doesn’t seem like a good fit for me. 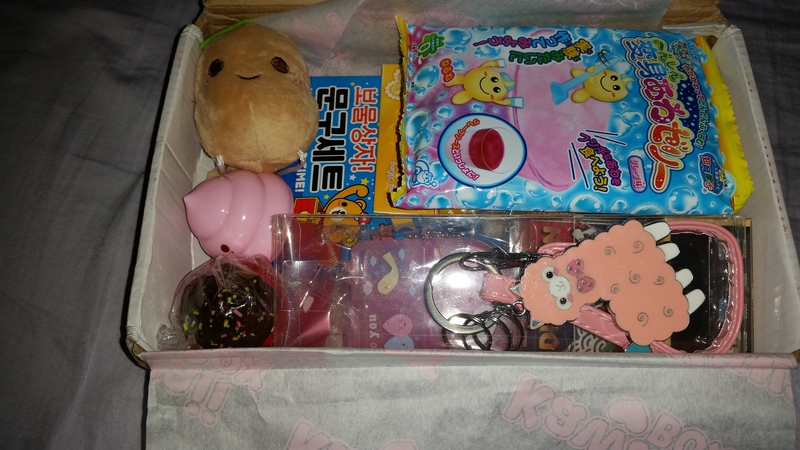 When I realized that there was a box subscription that sent you random cute things from Japan and Korea, I thought that might be the box for me, simply because there are not a ton of store options to buy random cute things where I live. 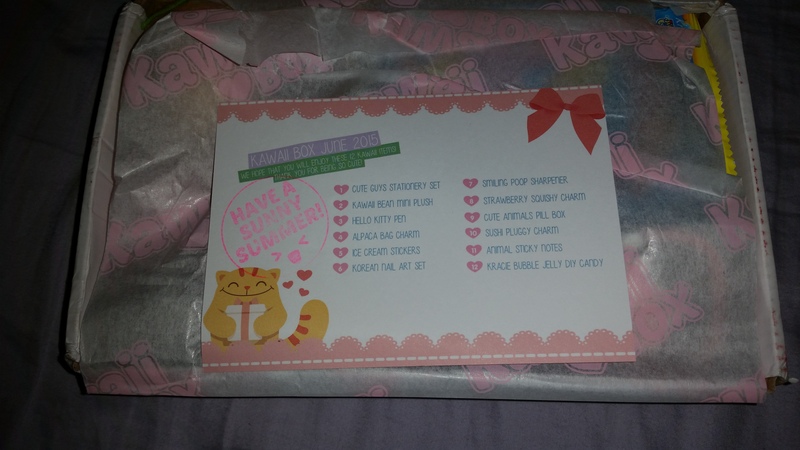 My sisters got me a 3 month subscription to Kawaii Box for my birthday! 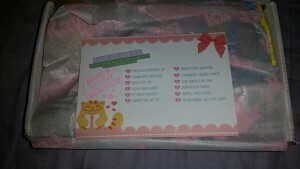 So now, I will review the contents of the June box, exactly as a blogger does when they have no other blog content ideas than to post the contents of a subscription box. A pink alpaca bag charm, tiny pillbox, and an eraser in the shape of smiling pink poop. I was particularly taken with the alpaca bag charm, and I put it on my knitting bag immediately. Many of the ladies in my knitting group have the same Sherpani tote bag for their knitting (because that is how we roll), and the bag charm will make it easy to pick out my bag in the crowd. I use a larger version of the pink pillbox for knitting stitch markers and things, but I could see this mini one being handy for pills, or other teeny tiny supplies. The pink poop pencil sharpener is hilarious, I am not sure yet how well it sharpens anything. 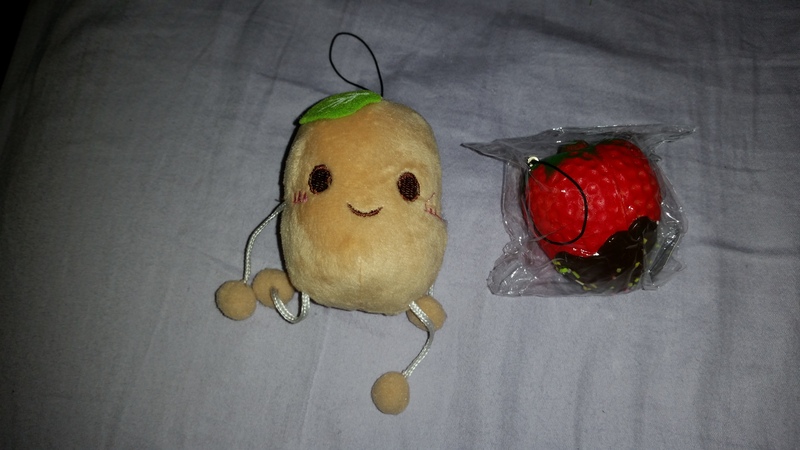 On the squishy side of things, there is a kawaii bean mini plush, and a squishy chocolate strawberry charm, both of which have a little strap you could use to attach them to a cell phone or whatever. There’s a mini sushi to plug into a headphone jack! 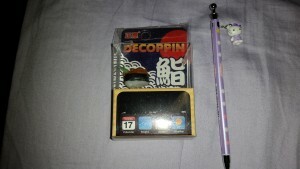 Also a purple Hello Kitty mechanical pencil which is very nice. 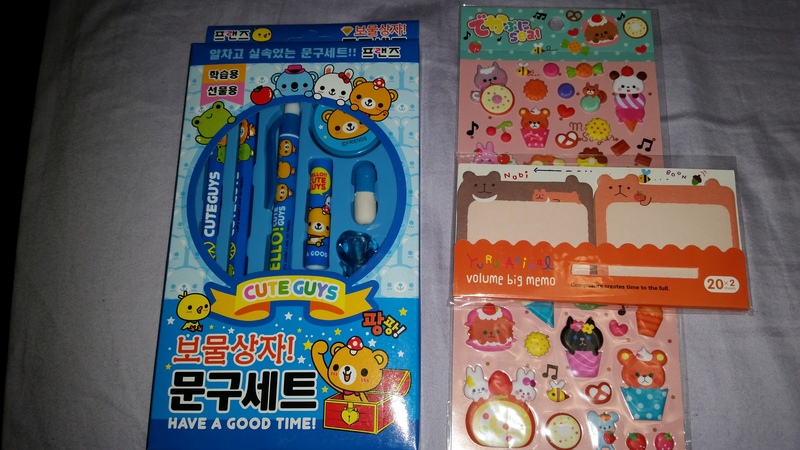 On the stationary side of things, there’s a blue pencil, pen, eraser, and sharpener set, some cute animal sticky notes, and some puffy stickers. 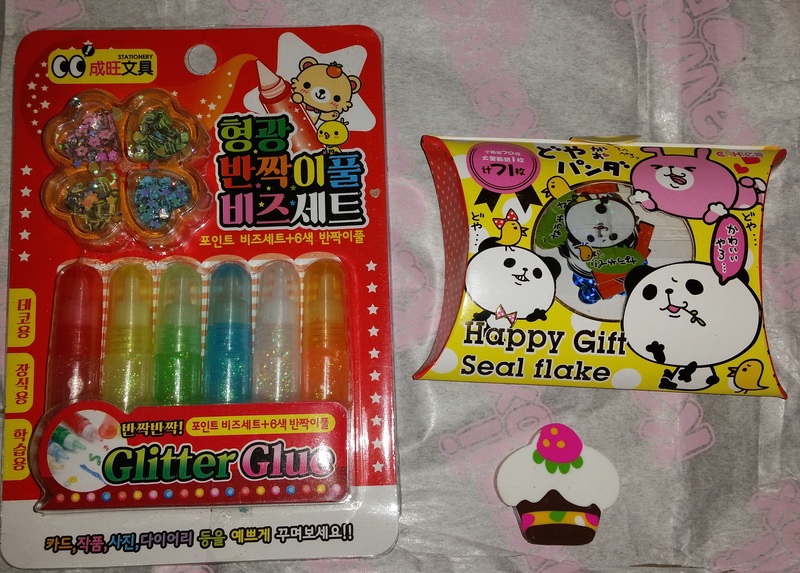 There is also a “bling bling” Korean nail art set that I’m going to send to my little sister who enjoys nail art, and a Kracie Bubble Jelly Candy thing I will make with my kids. 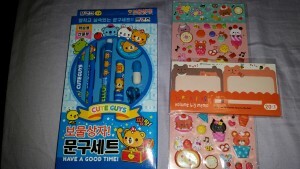 Overall, I thought this was a good mix of items ranging from squishy things to cute office supplies. 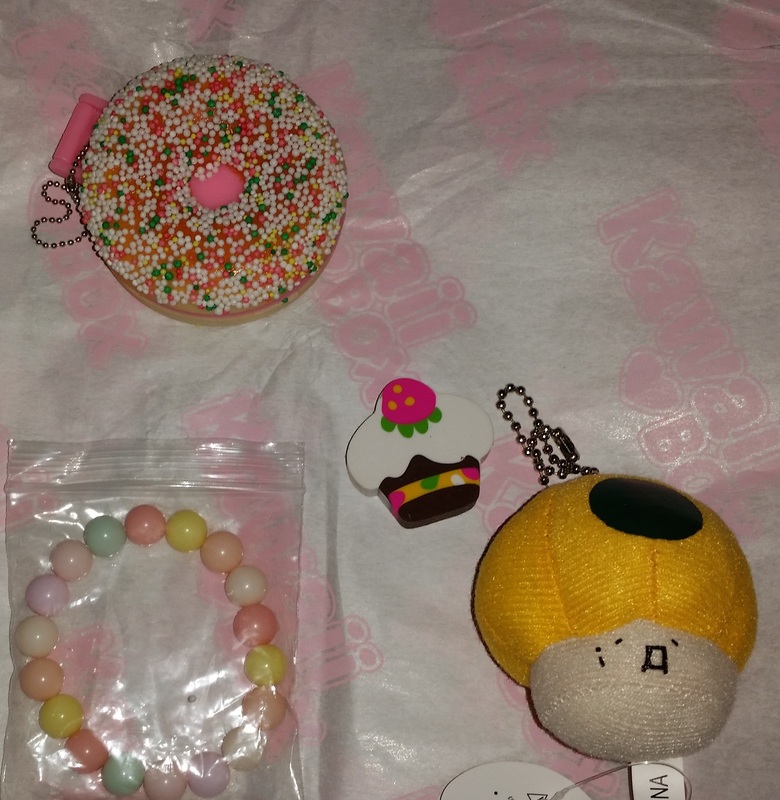 I could see how someone might have way too many bag charms if they got a yearly subscription, but I was quite happy with this random selection of cute stuff. My favorite item is probably the alpaca bag charm. This entry was posted in General and tagged kawaii box on 7/22/2015 by Anna. This entry was posted in General on 9/6/2014 by Anna. I’ve decided to shut MangaViews down. It didn’t get the type of support it needed to continue, and it was too much for me to try to keep up with the data entry on my own, although there were several people who helped. I really appreciate the efforts of everybody who pitched in to start it up. It didn’t seem like there was enough interest to keep it going. I probably am trying to maintain too many sites as it is, and with work and everything I’m not even able to update what I consider to be my core blogs as much as I’d like. Amethyst Tumblr is still going strong! Starting that tumblr is helping me restore the images on all the Amethyst recaps on this blog (I accidentally overwrote the archived images when a wordpress update went horribly wrong). So far, there are images up for the first mini-series and about half of the second mini-series. Slowly but surely! After being loyal to libarything for a long time, I’ve switched over to goodreads just because it seems like an easier tool to keep track of my current reading habits. This entry was posted in General on 5/28/2011 by Anna. Please enjoy this vitally important post I contributed to The Content Farm about How to Boil Water. This entry was posted in General on 2/7/2011 by Anna. The Bureau Chiefs are having a FakeAPStylebook contest. Check out the contest page for all the details. You can win a zazzle gift certificate and eternal glory. This entry was posted in General and tagged fakeapstylebook, the bureau chiefs on 10/25/2010 by Anna. Apologies if you tried to visit this site and found it listed as an attack site. The malicious code was removed, and everything seems to be working fine now. This entry was posted in General on 9/18/2010 by Anna. The Bureau Chiefs have set up a store of official FakeAPStylebook swag. Here’s a link to the store, and you can get a preview of the lovely goods in the flash widget below. This entry was posted in General and tagged fakeapstylebook, the bureau chiefs on 5/20/2010 by Anna. Zudacomics v. Tokyopop: Round 3! What? You dun want to sell your soul to Tokyopop? What are you? French? 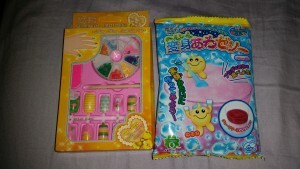 This entry was posted in General and tagged tokyopop, wfa on 5/29/2008 by Anna. This entry was posted in General on 5/14/2008 by Anna.